← The POWER of LME! Teacher: …and this is Mrs. Van; she’s the boss of our school. Child: Why do you want that job? Child: (Getting out of the car to walk with me) I need to eat breakfast today. Me: Wonderful, because here we are! Child: This is the lunchroom, NOT the breakfast room. Where is the breakfast room, boss of the school? Me: Well, you will have Monday off in fact! Child: I guess you are smart enough to be the boss of the school ’cause we need rest from all this school work we have to do the first week. Child: So boss, I went fishin’ this past weekend. Me: I enJOY fishing! Did you catch anything for supper? Child: No, it’s called fishin’ and not catchin’…we ate hamburgers instead. Another child to my little friend: How do you know she’s the Boss of the school anyway? Other child: Well, who made her that? Child: So all these people work with you, Boss, to make our school work. Me: That’s right! It takes all of us working together as a team to help you reach your dream everyday. Child: Well, Mrs. Miller must’ve had a dream to build this school ’cause we sure work as a team here at Miller everyday and nobody wants to cross you or her, Boss. Note: …and for those of you curious to know, this child knows my real name but prefers to call me “Boss of the School…out of respect.” 🙂 I love my job! 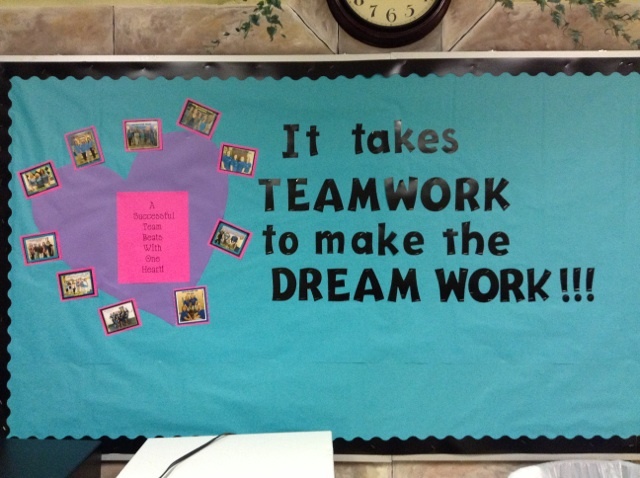 This entry was posted in Personal Reflections and tagged dreamwork, teamwork, working together. Bookmark the permalink.